I registered that day and ran over ten races and ran through two stadiums (probably closer to 15 races actually. I didn’t have a way of keeping track of which races I had signed up for yet, but that is another post). I was hooked. 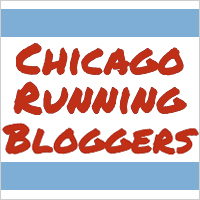 Injuries occurred, new tips and tricks were discovered, and I survived to run another Race Season in Chicago. Winter has always been a challenge for me, but in the past few weeks I have been getting my running legs back for another race season. This year, hopefully I can do less races and more distance, with enough training. This year I will focus on what is important, running and writing (probably mostly about running), while leaving my friends to wonder if I still exist, unless they run alongside me, but more likely still in front of me for quite some time yet. Time to break out training plans for a half marathon!